For the past three centuries, the French Quarter has hosted, among other things, military band processions, operas, spirituals, early jazz dances, rock ‘n’ roll recording sessions, funk concerts, hip-hop shows, and brass band parades. 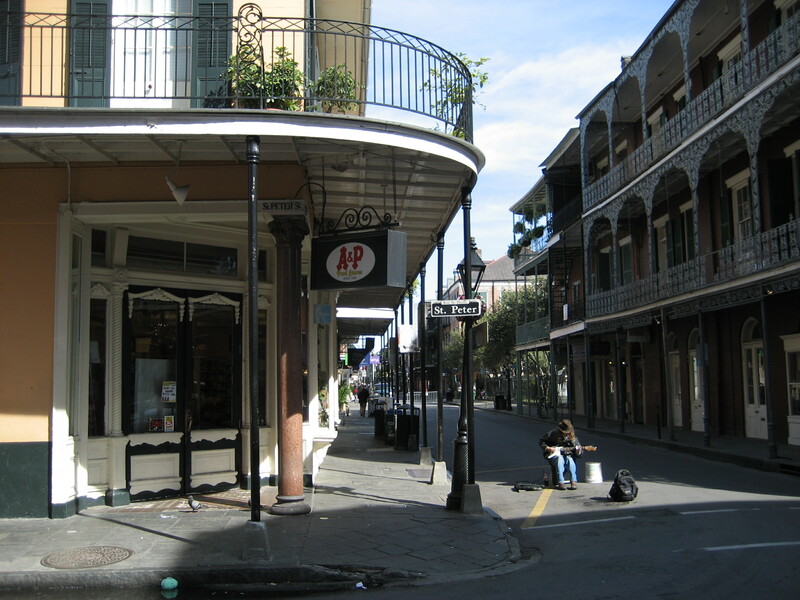 A walk through the Quarter today is a mash-up of the history of American popular music. Canal Street, once the city’s main commercial drag, was home to several early jazz venues and music-related businesses that have since been repurposed, or stand vacant. 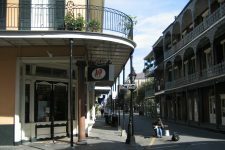 Bourbon Street, now famous for go-cups and a rowdy late-night scene, once featured one of the grandest opera houses in the country and helped launch a traditional jazz revival. The Quarter’s place in rock history is less well-known, but no less distinguished: some of the most influential post-War records in the country were cut in studios that, today, are inconspicuous buildings at the back end of the neighborhood. Looking down Royal Street at St. Peter in the heart of the French Quarter.